The vibrant and beautiful floral print has been a hot favourite of the season. Whether the print is present on your cocktail dress or your pillow covers or your table mats, florals hold the charm to make the decor of your home and your personal fashion instantly classy and polished. Give your home a floral remodelling with these 10 inspirational designs that will help to soften up the look of your home without being too feminine and chic. If you are looking for uncomplicated ideas to add floral print in your space, we suggest going with a simple floral print couch. Decide on the colour of the print as per you preference and compliment the floral print couch with some solid coloured cushions. 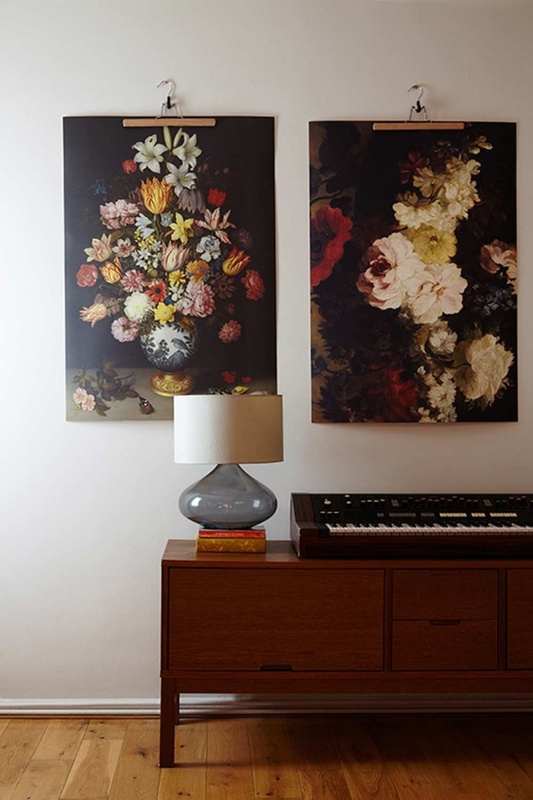 You can also hang minimally printed flowers on canvas in vintage frames to give a floral makeover to your walls. 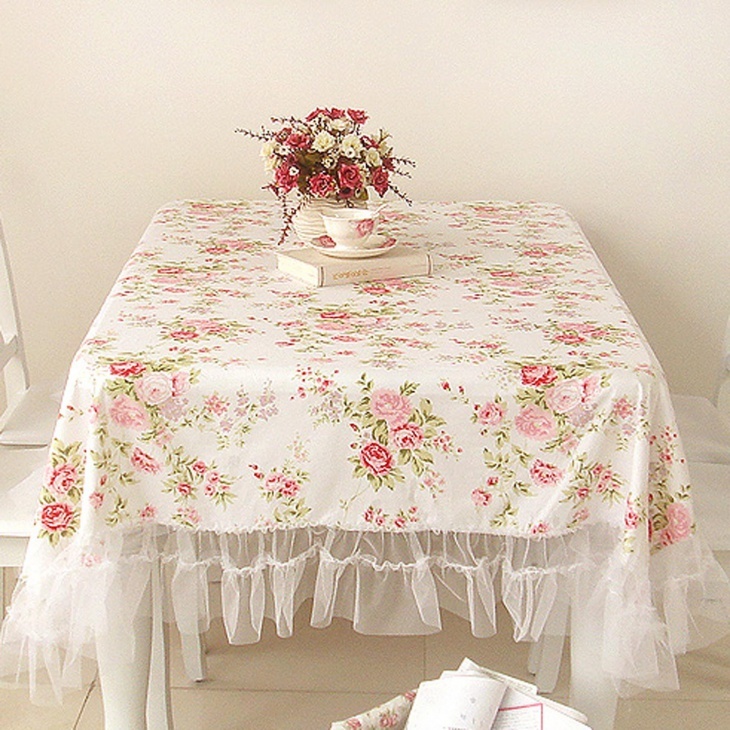 If you are not really sure on including the floral printed look directly in your home, we have a great solution. 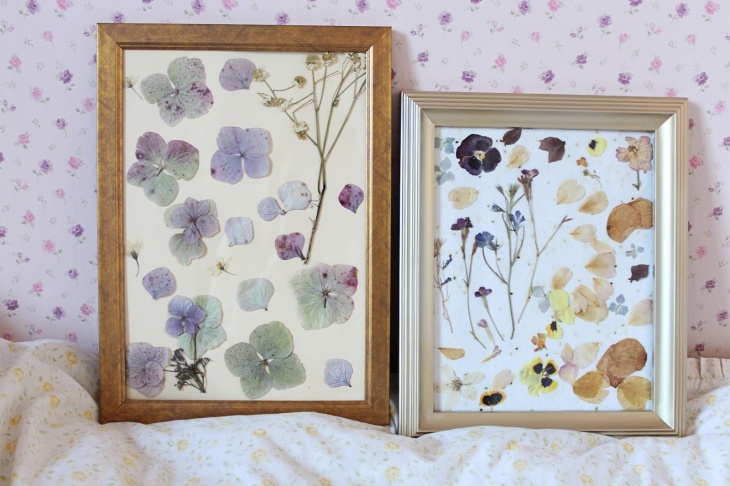 You can include the look in an interesting and unique way by framing the pressed botanical flowers or leaves. Hang the frames in a close grid and give your home a natural and experimentive touch. 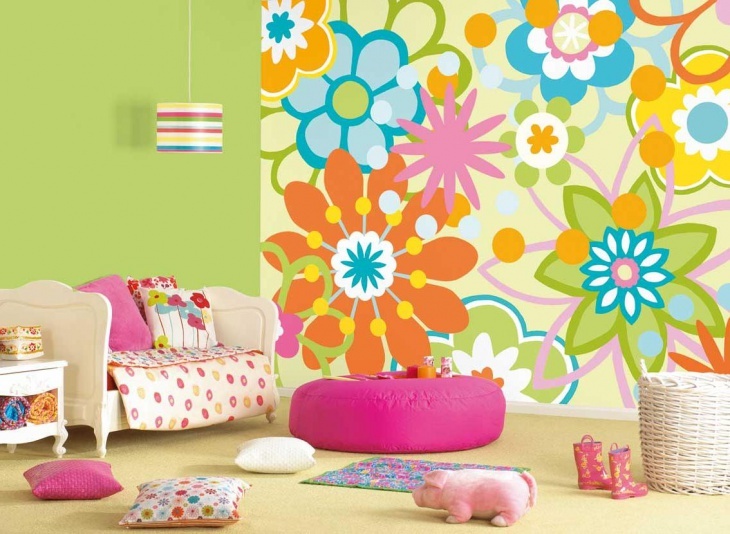 Floral is a great print to try out in kid’s room. You can either go for a look that is bright and elaborate or modest and plain. Match the vibrant print with colourful accent pieces to keep your kid positive and energetic. 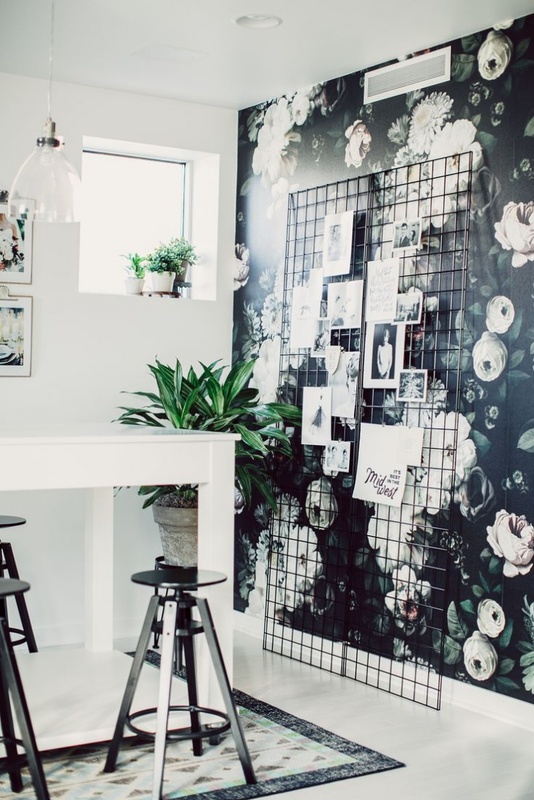 You can try and test out the floral print wallpaper on just one wall of your home. 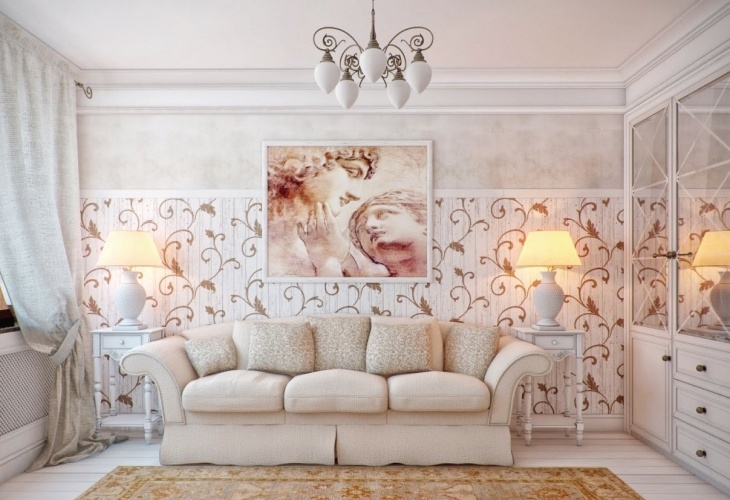 The wallpaper helps to instantly add personality and make the look of your home soft and appealing. Floral print wallpapers are also a great way to add contrast to your neutral space. If you have plain white walls, styling up your space in big sized floral paintings can be a wonderful option to upgrade the flat look of your home. Either go with a full framed look or just hang the paintings with vintage hangers or cords. 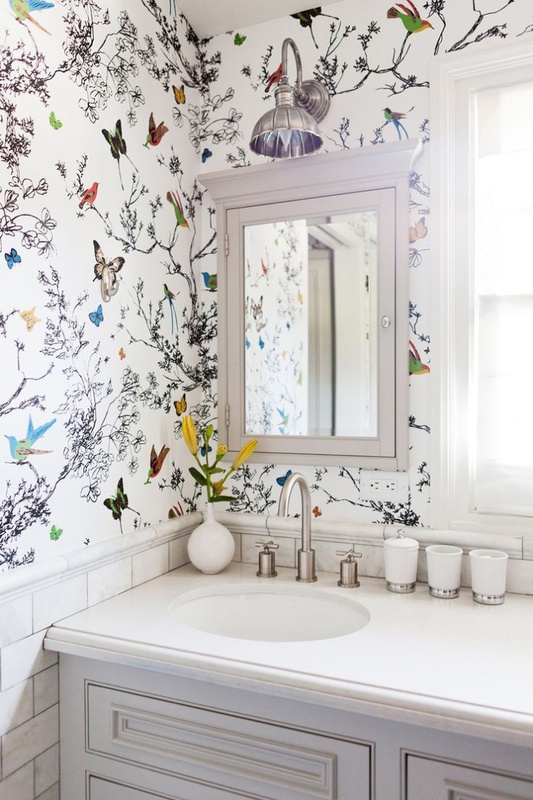 Floral wallpapers act as a great addition to the bathroom space. A nature-inspired backdrop to the cabinets and washbasin in the bathroom can act as a great way to bring a sense of style and colour in the tiniest of space. Florals don’t always have to be filled with multiple colours, sometimes the neutral look can be as appealing as the bright and energetic. If you already have bright interiors in your home you can add black and white floral look either in the form of a painting or a wallpaper. 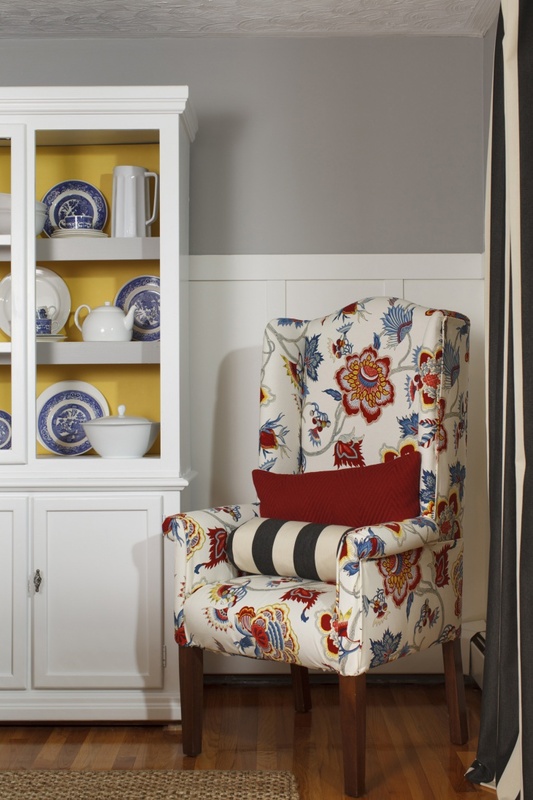 Floral print arm chair can be the best piece to bring a Victorian upgrade to your space. Armchairs or accent chairs can be a great way to add colour and energy to your space without going overboard. 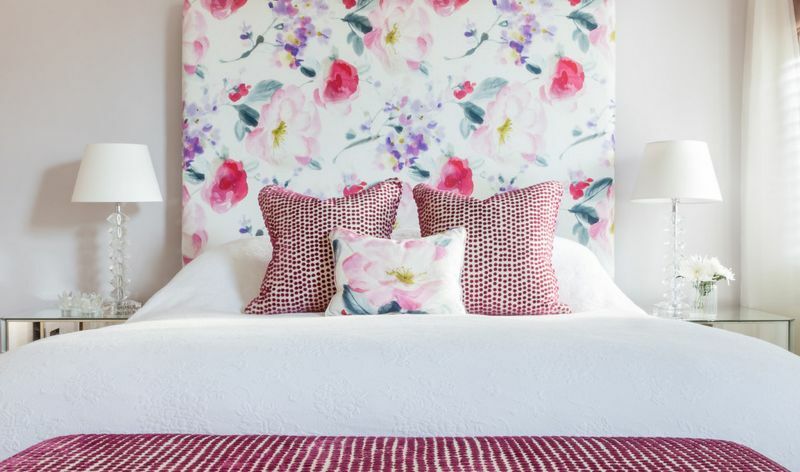 Floral headboard used in a neutral space can be a great way to uplift your resting space with colours and blossoms. If you are certain about the print and love the colourful look, you can also bring in the blossom print through multiple sources. Include the print in table covers, flower pots and small paintings and let the decor of your home reflect a cosy and comfortable vibe. Floral prints are a definitive way to let your home make a statement. 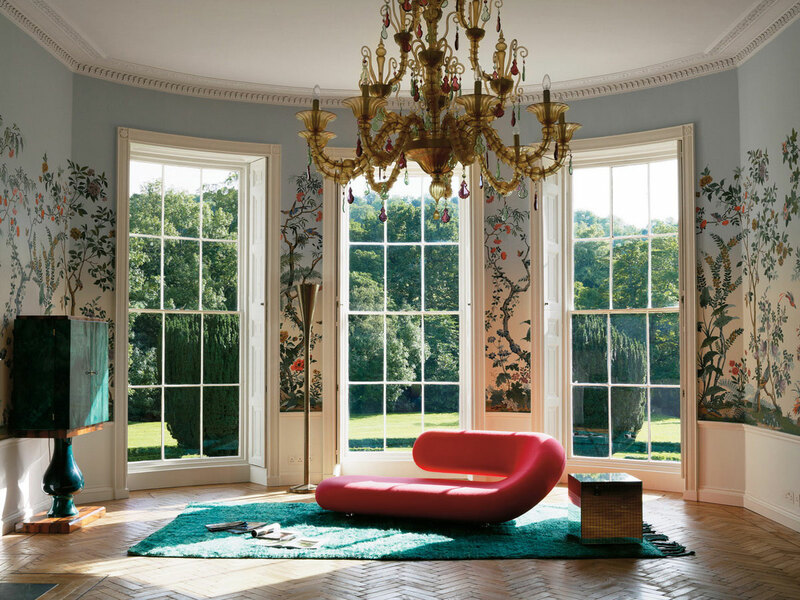 Give the decor of your home a blossom upgrade and revive the energy in the character of your space.